﻿ What is an SFP and How is it Used? The small form-factor pluggable (SFP) is a compact, hot-pluggable transceiver used for data communication applications. These small metal devices plug into a special switch slot and support communication over either fiber optic or copper networking cable. To select the right transceiver, you will need to base it on the type of cable you are using, copper or fiber. To communicate over fiber optic cable, make sure you select a transceiver that matches the slot bandwidth and speed of the device you are connecting to (1Gbps or 10Gbps) and your cable’s connector type (LC or SC). To communicate over copper, select a transceiver with an RJ-45 Ethernet port. Some transceivers support specialty applications such as Infiniband (sometimes used in high-speed storage networks). Make sure you understand your application requirements first, then select your transceiver accordingly. GBIC- Originally named Gigabit Interconnect. Typically used for the Cisco 2900 & 3900 series switches, 10/100 megabit. 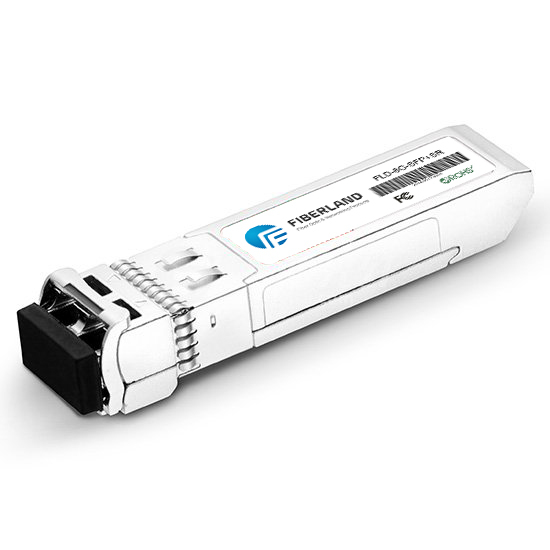 SFP+- Higher throughput with an enhanced version that will give you 10G uplink capability. Commonly used for 3560x & 3750x series switches amongst others. These SFP transceivers are hot-swappable and have the capability to allow modifications which can be added after the initial purchase. These transceivers can also be deployed in “mix-use” environment of single-mode/multi-mode SFPs and a variety of hardware providing a flexible and customizable solution. If you are looking to have your switches communicate at a faster rate, installing an SFP may be useful. If you are looking for a little more speed in your transfer rates, you will need to have a switch or expansion module that supports 10GbE to use a 10GbE SFP+ transceiver, but not all switches/modules support that. From the looks of it, these SFP’s fits the bill for all of our switches and/or routers to communicate with each other. If you are in the market to buy any type of SFP, check out Fiberland as we offer a variety of options from Cisco Original, and compatible options.